Installation kit for pencil-type injectors. Use with injectors AR89564, RE37503, RE36939. Kit includes 1 seal 0.074 inch & packing. 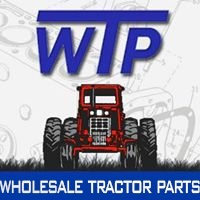 Tractors: 945, 952, 1950, 1950F, 1950N, 2140, 2355N, 2555, 2650, 2650F, 2650N, 2750, 2755, 2850, 2855, 2855N, 3040, 3140, 3255, 3350, 3400, 3650, 4050, 5500, 5500N, 6200, 6200L, 6300, 6300L, 6400, 6400L, 6500, 6500L, 6600, 6800, 6900, 7400, 7500, 7600. Combines: 965, 965H, 968H, 975, 985, 1052, 1065, 1068H, 1072, 1075, 1085, 1155, 1158, 1166, 1169, 1174, 2054, 2254, 9400. Loader Backhoes: 300D, 310C, 310D, 315C, 315CH, 315D, 344G, 410D, 444D, 444G, 510D, 515B, JD544B, 544C, 544D, 544DH, 544E, 544E-LL, 544E-TC, 624E, 624EH, 624G, 624GH, 710B, 710C. Excavators: 490, 490E, 590D, 595D, 690D, 690DR, 690E, 690E-LC, 790E, 790E-LC. Crawler: JD65, 450G, 455G, 550G, 550GTC, JD555, 555G, 555GTC, 650G, 655, 655B, 750, 750B, 750BLT, 750C, JD755, 755A, 755B, 755BH. Windrowers: 3430, 3830. Telehandlers: 4400, 4500. Skidders: 540E, 548E, 640, 640D, 640E, 648D, 648E. Sprayers: 6100, 6500, 6600. Feller Bunchers: 643, 643D, 653, 693D. Cotton Pickers: 9920, 9930. Cotton Strippers: 7445, 7450, 7484. Motor Graders: 570B, JD670, 670A, 670B, 672A, 672B.